The Obama administration was trying hard to seek US congressional ratification this year but it abandoned efforts after the victory of Trump. The TPP faced stiff political opposition cutting across party lines and ideologies. Both the major presidential candidates expressed their opposition to TPP and avowed to reject it once elected. Trump was very vocal in his opposition to TPP as well as NAFTA throughout his campaign. Whereas Hillary Clinton flip-flopped on the TPP pact. While serving as Secretary of State, she had praised TPP as setting the “gold standard in trade agreements” but reversed her position during the presidential campaign due to tough primary challenge from TPP critic Bernie Sanders. Japan is the only member-country which voted to ratify the TPP deal early this month. As per the rules laid out in the TPP, the agreement allows a two-year ratification period in which at least six original member-countries, representing 85 percent of the combined GDP of the grouping, should approve the text for the agreement to be implemented. The US accounts for nearly 60 percent of the grouping’s GDP. With the US announcing its withdrawal, the TPP agreement simply cannot enter into force even if all the remaining 11 member-countries ratify it. In simple terms, the TPP, in its present form, is effectively dead. 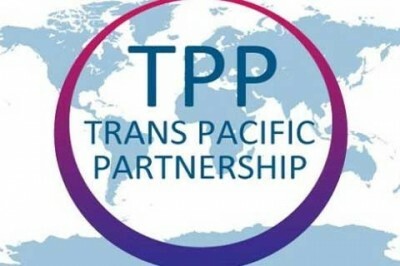 Signed in February 2016, the TPP pact involves Australia, Brunei, Canada, Chile, Japan, Malaysia, Mexico, New Zealand, Peru, Singapore, the US and Vietnam. The idea of a Trans-Pacific Partnership was initiated by four countries – New Zealand, Singapore, Chile and Brunei – way back in 2002. Initially, the US was not interested in joining the negotiations but President Obama in November 2009 decided to take part in negotiations. Later on, many other countries such as Malaysia, Japan and Vietnam also joined negotiations. China did not join the negotiations. Although China officially maintained that it has an “open-minded attitude” towards TPP but it was not ready to meet the higher standards (particularly on the operations of state-owned enterprises) envisaged in the TPP. The TPP agreement is a 4,500-page document which was prepared after seven years of negotiations. It is the world’s most ambitious free trade pact ever signed. It is much more than a typical free trade agreement which aims for reducing import tariffs in agricultural and manufactured goods. The reason being that the average applied tariff rates amongst most TPP member-countries are very low so there is little scope for further reduction. The TPP represents a new generation of 21st century trade agreements creating new mechanisms to govern cross-border economic activities with much higher standards than any existing bilateral, regional and multilateral trade agreements. As analysts have pointed out that the TPP is a kind of “economic constitution” governing cross-border trade and investment with greater emphasis on the removal of regulatory barriers. The TPP is touted as the “gold standard” of trade and investment agreements because it contains stringent rules on a wide range of issues such as cross-border investments, intellectual property rights, state-owned enterprises, government procurement, e-commerce, services liberalization, regulatory coherence, labor and the environment. One of the most contentious issues is the incorporation of Investor-State Dispute Settlement mechanism which would allow foreign investors from TPP member-states to bypass domestic courts of host states and sue a host state through international arbitration proceedings. With the US and Japan in driving seat, the negotiating agenda of TPP was drastically reshaped to suit their core interests while other negotiating countries (particularly the developing ones) did the heavy lifting to meet the onerous demands put forward by these two countries. Concerned over the potential negative effects of TPP on jobs, economy and regulatory space, civil society groups and labor unions from both sides of the Pacific launched popular campaigns focused on the secret nature of the negotiations and sought greater public participation during the negotiation process. For the Obama administration, the TPP was not purely a trade and investment agreement. It foresaw huge strategic value in joining this pact. The TPP was a key component of Obama’s policy of “rebalance” toward Asia which rested on three pillars: economic, political and security. By 2011, the TPP had become the linchpin of the administration’s “pivot to Asia” strategy to contain the China’s economic and geopolitical influence in the Asia-Pacific region. Some trade experts argue that it may be too soon to bury the TPP. Of course, the TPP agreement could possibly survive provided the remaining 11 signatory countries drastically modify the rules governing its entry of force. The so-called TPP (minus one) pact is theoretically possible. It is also conceivable that countries like Indonesia and Thailand may join TPP in future thereby expanding its membership. Moreover, many member-countries would not be keen to pursue a TPP (minus one) pact due to lack of exclusive access to US markets for which they accepted onerous conditions to join it. In this fast emerging scenario, many TPP members (in particular Japan, Australia and New Zealand) who are also members of the proposed Regional Cooperation Economic Partnership (RCEP) will now shift their attention to this pact. These countries may further push for TPP-like provisions at RCEP to maximize the best possible outcome following the imminent demise of TPP trade deal. It is hard to deny that for many countries in Asia-Pacific region with a small domestic market, the export economy remains very important. Such countries would prefer a deal than no deal when it comes to joining a regional economic bloc. Of late, TPP member-countries like Peru and Chile have also shown interest in joining the RCEP. The legally binding RCEP covers a wide range of issues including trade in goods, trade in services, investment, intellectual property rights, competition policy, dispute settlement and economic and technical cooperation. The negotiations were officially launched in November 2012 at the ASEAN Summit in Cambodia and the 16th round of negotiations will be held in Indonesia during December 6-10, 2016. Many commentators have described RCEP as a China-led trade pact. There is no denying that China is an export powerhouse in manufactured goods and has enormous economic clout in this region but it would be erroneous to view RCEP as a China-led trade pact for three important reasons. Firstly, RCEP is ASEAN-centered FTA as it seeks to harmonize and build on existing FTAs between ASEAN and its six trading partners. Secondly, having signed an FTA with ASEAN is the precondition for joining the RCEP negotiations. In other words, the US or any other country can also join RCEP negotiations provided they first conclude an FTA with ASEAN. Thirdly, Japan has successfully pushed strong rules in the areas of investment and intellectual property rights into the RCEP negotiations despite opposition from India and other members. The leaked draft texts of RCEP reveal that TPP disciplines in areas such as investment, IPRs, services, e-commerce and telecommunications are currently under discussion at RCEP at the insistence of Japan and South Korea. In many important ways, the imminent demise of TPP has eased pressure on India which is not supportive of an ambitious agenda on IPRs, investment and zero tariffs under the RCEP framework due to potential negative impacts on local producers and businesses. For India and many other developing countries, the pressure to sign bilateral and regional FTAs in order to counter other mega regional trade pacts (such as TPP) has subsided for the time being. Also the demise of TPP deal has weakened the negotiating position of countries like Japan and Australia at RCEP. At the forthcoming round of negotiations next month, India should forcefully argue that the “gold standard” TPP framework has lost its appeal and popular support and therefore a modest agenda based on diverse circumstances of the negotiating countries should only be pursued at RCEP negotiations. In the present context, when the world trade is slowing and protectionist tendencies are rising across the developed world, India should rethink its FTA strategy in the short- and medium-term. At the same time, it is equally important for lead countries like Japan, South Korea, China and Australia to understand that only a modest agenda would be politically feasible under RCEP as the public opinion worldwide is turning against FTAs. Any attempts to pursue an ambitious agenda at RCEP may provoke a strong political backlash thereby putting the future of entire agreement in jeopardy. What about NAFTA, TTIP and FTAAP? What will be the fate of America’s other regional FTAs? It remains to be seen whether Trump will renegotiate or altogether withdraw from NAFTA once he takes office. Since 2013, the US is negotiating Transatlantic Trade and Investment Partnership (TTIP) – another ambitious free trade agreement with the European Union. The future of TTIP has become highly uncertain in the wake of Brexit vote and Trump’s election victory. To a large extent, the prospects of Free Trade Agreement of the Asia-Pacific (FTAAP) would depend on how the negotiations proceed on the RCEP and other FTAs in the region. The idea of FTAAP was proposed in 2006 by APEC as a long-term, comprehensive FTA covering the entire Asia-Pacific region but no concrete steps were taken up by APEC members to turn it into a reality. At the APEC summit held in Beijing in 2014, China revived the idea of FTAAP by proposing a feasibility study but the US and other members did not support it. Given Trump’s stated preference to negotiate bilateral trade deals, attempts to launch negotiations on giant regional FTAs like FTAAP are unlikely to gather support during his presidency.